5 Reasons HPS Grow Lights Still Dominate! High pressure sodium grow lights - frequently referred to as ‘HPS’ grow lights - were invented in the 1960s as an alternative to the then-popular low pressure sodium streetlight. Not too long after the invention of HPS lights, some crafty individuals realized that these lights work great for growing cannabis. From that point on, HPS lights have been the dominant force when it comes to lighting for growing cannabis indoors. 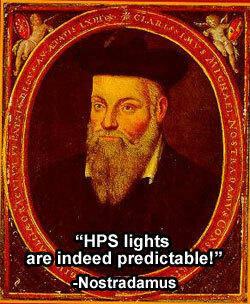 Fast-forward to the present day and HPS lights have been in existence for almost 50 years. High pressure sodium lights are still in heavy use in grow rooms and commercial grow operations, but now there are quite a few alternatives available to grow cannabis besides HPS lights, such as LEDs, CFLs, T5s, CEDs, plasma, and magnetic induction grow lights to name just a few. We answer quite a few questions from growers who are looking to replace their HPS with the next big thing... but I say, hold on to your HPS! It’s still amazing at what it does! High Pressure Sodium grow lights are dirt cheap! Even a higher end HPS system with a name-brand ballast will cost considerably less than an LED grow light of equivalent wattage. Additionally, HPS systems are modular, so if any one part in the system fails (like a bulb) you can replace it without having to pay for a completely new lighting system. As consumers we’ve all learned that the cheapness of something can sometimes be an indicator of its low quality, but HPS’ are actually cheap for a pretty good reason. HPS lights have been used heavily in the US as streetlights since the 70s, and the technology used in the streetlights is pretty much identical to the technology contained in HPS grow lights. So as growers living now, we get to benefit from decades of refinement in the technology of the actual lights as well as the processes to make them. In short, people (not just growers) have been refining HPS lights for so long that they’ve become extremely cheap to produce by even small companies. More competition and a lower barrier of entry for production means we see lower cost across the board! 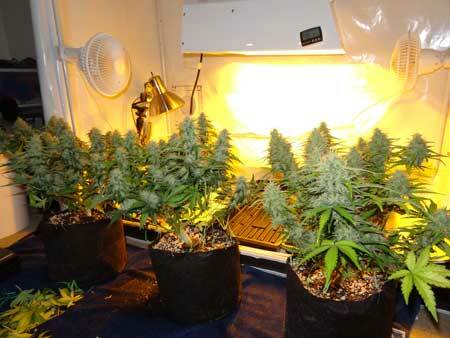 High pressure sodium lights are good for growing cannabis. Period. You’ll find growers on both sides of the fence when it comes to the performance of LEDs or magnetic induction grow lights. You’ll find growers who think the CFLs aren’t worth the trouble and that the T5 makes them obsolete...or vice versa. You’ll find growers who think that anything but the sun is a joke. 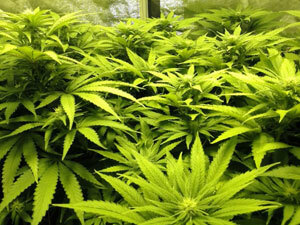 But what you won’t find is a grower who thinks that HPS lights don’t grow great cannabis. A grower might say that HPS lights run hot, are inefficient or cumbersome, but pretty much everyone agrees that they do a great job and produce great yields. And consider that this isn’t about some particular company that has mastered the art of making HPS lights. HPS lights have been refined for so long that the technology itself is solid and easy to reproduce no matter who makes the lights. Did you know that you can get a 150W HPS? Despite how many grows you’re likely to see utilizing a 1000W HPS light, 1000W is actually way too much for most people! 1000W HPS lights are used so commonly that many growers will start out with them not realizing how much overkill such a large light can be. 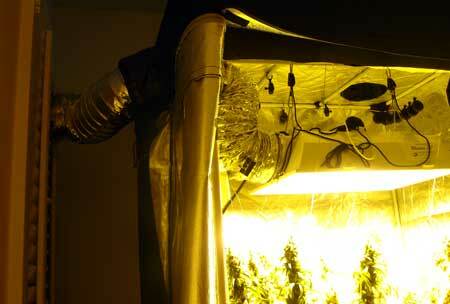 In fact, I was considering using 1000W for my first HPS until a helpful person at hydro shop talked me out of it. Now that I’ve been using 600W HPS light for a number of years, I’ve realized that even this light consistently grows much more bud than Nebula or I can use...all while paying for 60% of the electricity I would have needed for a 1000W light, and producing 60% of the heat. Think a smaller HPS won’t grow anything? Straightforward and predictable...kinda sounds the same, doesn’t it? Are there grow lights that are complicated and unpredictable? Well, yeah! HPS lights are straightforward in that they don’t require extra investigation to find their true wattage; one 600 watt HPS light uses about the same electricity as all other 600 watt HPS lights. CFLs and LEDs in particular tend to use ‘equivalent wattage’ ratings. Basically, that means that the wattage advertised is usually not the actual wattage used by the light. Rather, they’re saying that the light is strong as (or equivalent to) a light with the advertised wattage...despite not having that wattage. It doesn’t mean these products don’t work - I’ve used many CFLs and quite a few LEDs - but at the very least it’s suspicion-inducing. On the plus side, there are more and more honest companies who don’t bother with equivalent wattage and only advertise actual wattage. So how are HPS lights predictable? First, they’ve been used for so long that they’re a well documented piece of technology. People have been writing about how to use them for years, and that information hasn't changed. Secondly, HPS grow lights make light and heat in a predictable fashion which makes them much more intuitive to use than some other lights. This means that the experience that growers have with one 400W HPS light will transfer to a different 400W HPS light since they’re essentially the same device. However, a 400W LED from one company can behave very differently from a 400W LED from a different company; a safe distance for one LED panel could toast your leaves with a different panel of equal or even less wattage. There are no standard directions for LEDs. Note: This has a great deal to due with the configuration of the lamp, the size of LED bulbs, as well as the number and type of lenses used in the LED panel, though these customizations to LED panels can actually be some of their biggest strengths when used properly. Using a tent with your HPS isn’t mandatory, but it will definitely make for a less frustrating job. Even small HPS lights need a tent or specialized grow space, which isn't a problem for smaller CFLs and LEDs which can fit in more places. 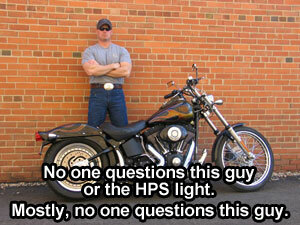 If you’re looking for something super stealthy that can be hidden away, HPS lights probably won’t be the answer. This one is a bit tricky. 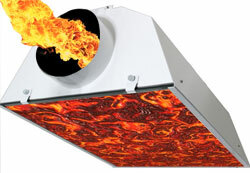 HPS lights have a reputation for generating tons of heat that needs to be dealt with. I agree that this is true; HPS lights do make quite a bit of heat which make an exhaust system necessary for anything over 250w...but it’s not for the reason most people think! HPS lights aren’t significantly more hot than LEDs or even CFLs by nature; the problem is that most HPS lights use a high amount of wattage. For example, if you set up 400 watts for CFLs in an enclosed space, the temperature will end end up around the same as if you used a 400 watt HPS. 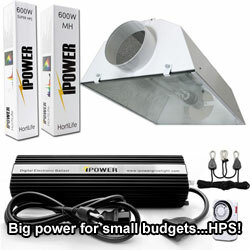 HPS lights are mostly sold in 3 sizes: 400w, 600w, and 1000w; there are lights smaller than these, but they can sometimes be tricky to find. This means that even the smaller end HPS (400 watts) is still producing the same amount of heat as if a growers was using 23 small CFLs(26w), or 4-5 UFO type LED panels. So in short, the amount of heat produced per watt used is about the same, but the lower availability of lower wattage HPS lights means growers end up getting bigger lights and thus, more heat. The color of light from an HPS is perfect for promoting flowering, but the color is also unmistakable, and that might be its greatest weakness. From the outside, a room flooded in CFL light looks a little odd, but it could just be that the person in the room likes a brightly lit environment. LED light is a bit more suspicious, but not enough to raise an alarm. From the outside, it looks like a someone is having a little too much fun with a black light. However, HPS light doesn’t leave room for second guessing. When HPS light bleeds out of someone's window, from the outside it looks like the person inside is...growing cannabis! If people can see this light coming from a room, you are putting yourself at great risk of becoming a target for nosy neighbors or thieves. So when using HPS grow lights, it's important to make a stealthy exhaust so no one outside your home is the wiser. All that said, each type of light has its pros and cons, and it’s hard to say that any one type of grow light is definitively better except in the eyes of the person using them. Of course, these are our opinions but we don’t have any objections to be convinced otherwise. Let us know what you think!